In The last Installment of “The Twilight Saga” . 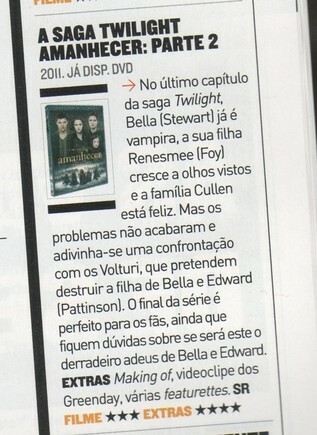 Bella ( Stewart) is already a vampire ,her daughter Renesmee (Foy) Grows Visibly and the Cullen Family is happy. But the problems don’t end there a vision of a confrontation with the Volturi , with the intention of destroying Bella and Edwards (Pattinson) daughter. The finale of the series is perfect for the fans. Even though there are still doubts whether this will be the ultimate farewell to Edward and Bella .